The pictures have been delivered to the museum and are now on the wall, and everything is ready to go! 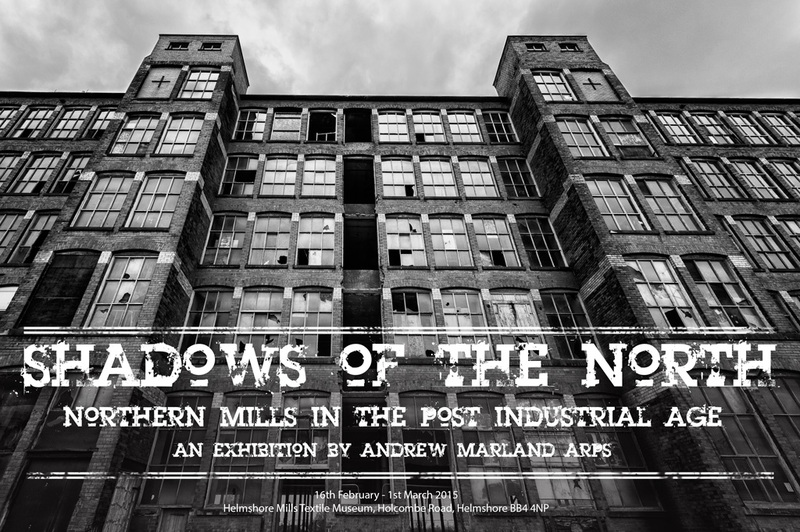 The exhibition will run over the Lancashire half term period, and opens Monday 16th February. It is located in the room between the two mills (rather than the giant exhibiton space on the top floor – I could never fill that!!). I am hoping to be at the mill on Saturday 21st with a little muscial accompaniment from my friend Graham Dixon of the Lancashire Folk Band ‘Trouble at’ Mill”. Mercifully, I will not be singing but I will be hanging around and am happy to talk about the pictures, websites or anything else! Next Post #394 – Photographs from Helmshore Exhibition! Good luck, Andy, I hope it goes well for you. Great title for the show! Thanks Iain! The name of the exhibition was just one that popped into my head when the original ones were rejected, and the museum loved it! In retrospect, I’m quite pleased with it, considering it was just a flash of inspiration.